Tiny, dark green needles on short branches form a flattened, compact globe that is adorned with resin-coated, cinnamon-coloured mini-buds. 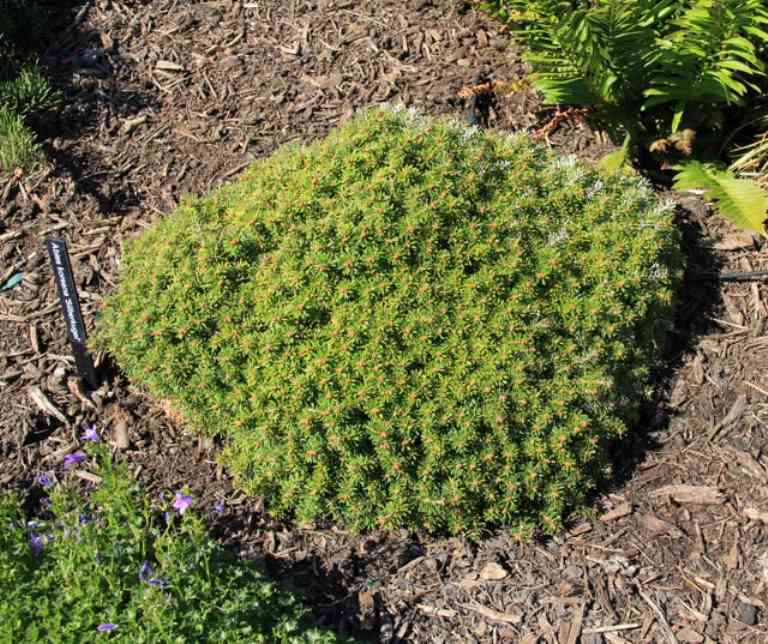 'Silberkugel' is ideal for rock gardens and a must for collectors. It is extremely slow growing, about 2 cms per year. Abies koreana 'Silberkugel' is a very slow growing conifer that needs well drained soil in full sun to part sun. It is ideal for a sheltered rock garden.